"How do I do to convert PPT to MKV? PPT is too plain and bored for me so I don’t want to keep piles of my PowerPoint files in what they are. I have to convert them to a more common and powerful format. That is why I am asking to convert PPT to MKV here. Can anybody help?" Absolutely. Converting PPT to MKV is a wise way to store your PPT files while in the same time making your PPT more powerful and attractive. Here is all you should know about MKV and how to convert PPT to MKV. Just similar to other common video formats, the Matroska Multimedia Container, known as MKV, is an open standard, free container format, a file format that can hold an unlimited number of video, audio, picture, or subtitle tracks in one file. It is a universal format for storing common multimedia content, like movies or TV shows. It is compatible with most devices and systems, making it playable easily. What is more, MKV team will also work hard to create a modern, flexible, extensible, cross-platform multimedia container format, develop robust streaming support, and develop a menu system similar to that of DVDs based on EBML. This is a good news for MKV as it will be more and more powerful in the future. 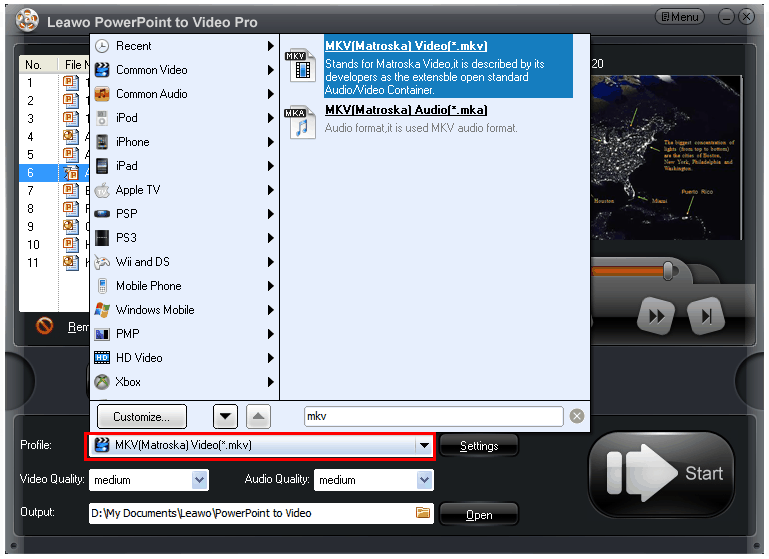 Since MKV is such a common and powerful video format, converting PPT to MKV should be quite popular. Yes, indeed. But what kind of apps can be used to convert PPT to MKV in an efficient way? The answer is Leawo PowerPoint to Video Pro. I will recommend it to you because this app is a professional program being developed to convert any PPT file to all common video formats, not just limited to MKV. Apart from those usual features, like multilingual user interface, fast conversion speed, unlimited file conversion, it also provides many practical customization features. Users are able to set background music, audio track, and even add some logo to the file. All these features make the app stand out from other apps. 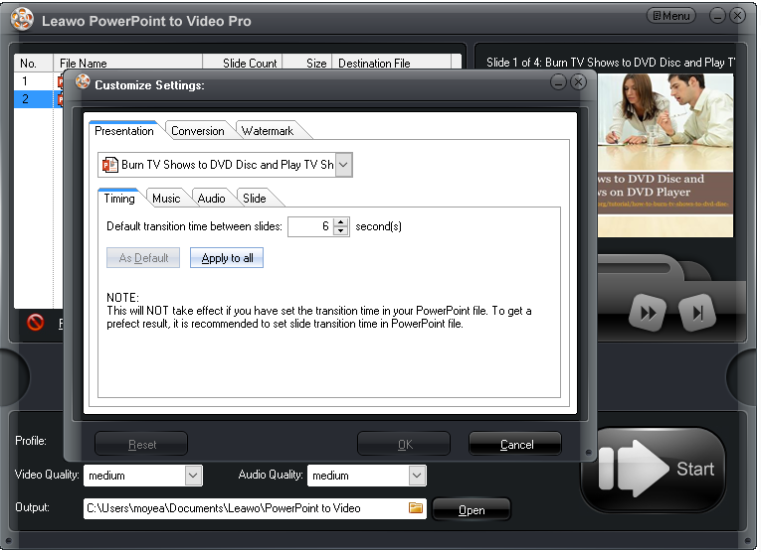 The following procedure will be a step-by-step guide to show you how to convert PPT to MKV. Hit the below button to download and install the app. It takes a few minutes to finish and then launch the app. Step 2: Import the file. Add your target PPT files to the app. Simply click Add to be enough. Click Move Down or Move Up to set the file priority. Locate your target output file format from the Profile drop-down list. After that, specify a directory on the Output box to save the converted file. Step 4: Customize the file. Click Customize and the Customize settings pane is displayed. You can set background music, video and audio codec and quality here. Step 5: Add a logo. If you need a logo or trademark to protect your file from being copied or edited, click Watermark to add. Zoom in and out the size, and hold to a suitable position. Step 6: Convert PPT to MKV. Hit the big Start button on the home page to convert PPT to MKV. This process can be monitored through the progress bar. After 100% completes, you will have your MKV video in the folder set in previous step. Transfer it to other devices or play it within the app. Besides Leawo PowerPoint to Video Pro, we have another two apps to recommend to you. This is an online freeware. 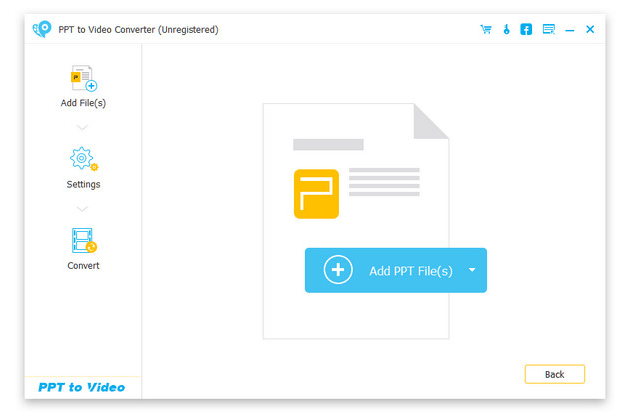 Steps to convert PPT to MKV is extremely simple. You enter the URL or upload your source file to the app. Then, select the target format to output the file. Furthermore, you can choose to change frame rate, size, and bit rate or just to remain as they are and not change anything from the Options drop-down list. This is a paid app. PPT to Video Converter is a good office helper to convert PowerPoint files to video or create to DVD for easy watching anywhere and anytime on PC/Mac or YouTube. The app works quite efficient if you are a registered user. The process works in streamline like this: import files -> settings -> convert. Among the above three mentioned and recommended PPT to MKV converters, Aconvert is freeware but it sets a file size limitation, that means you can only convert files smaller than 200M. 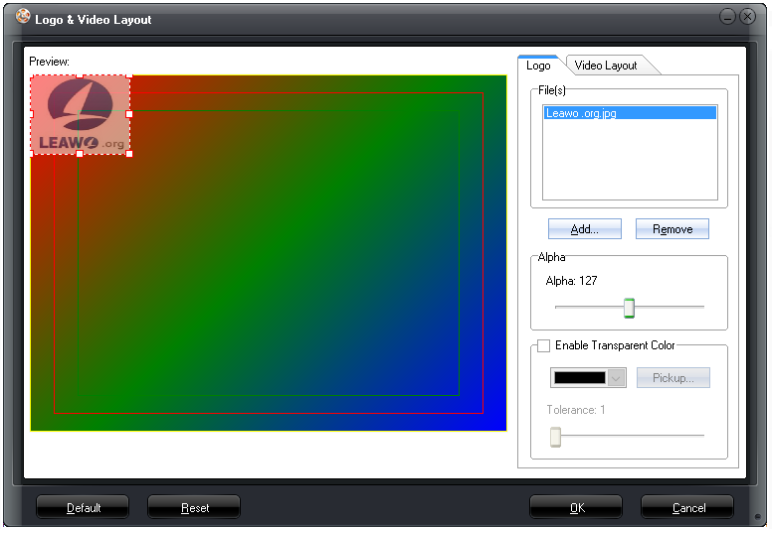 In addition, there is fewer customization features to modify the file. Leawo PowerPoint to Video Pro and PowerPoint to Video Converter are both paid apps. 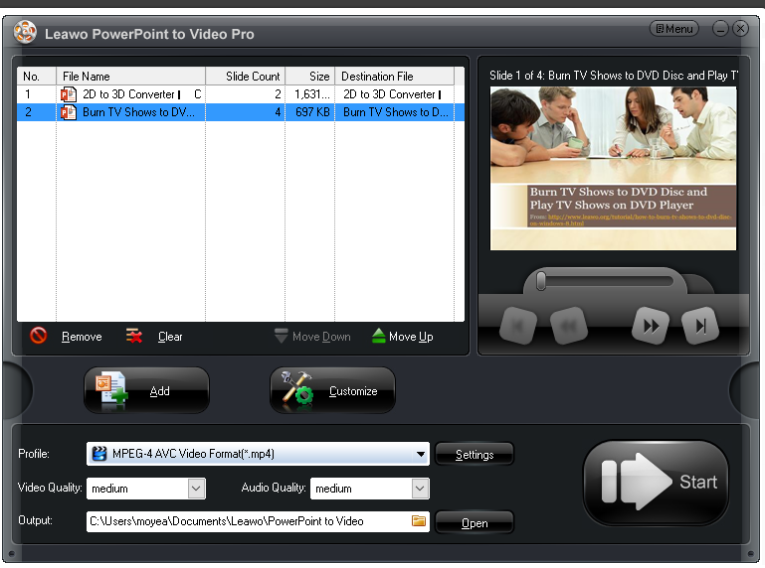 By comparison, Leawo PowerPoint to Video Pro turns out to more competitive and cost-effective. It definitely worth your try.